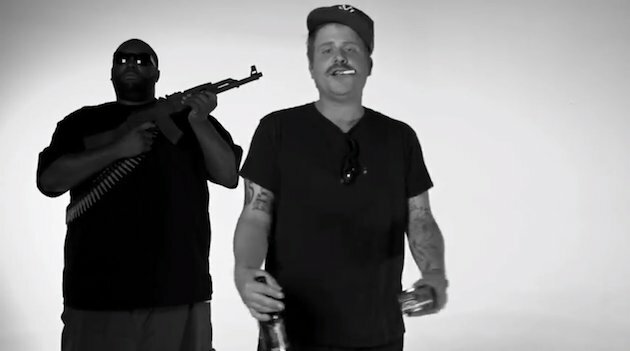 Two rappers who became best friends in the past year and topped a lot of album lists for 2012, Killer Mike and El-P, are now teaming up once again to drop a full-length collaborative album. Rather than just rapping on each other’s features, El-P and Killer Mike will produce and record the entire album, called Run the Jewels, as a duo. Today, they teased a track called “Banana Clipper,” via Soundcloud. Take a listen here.